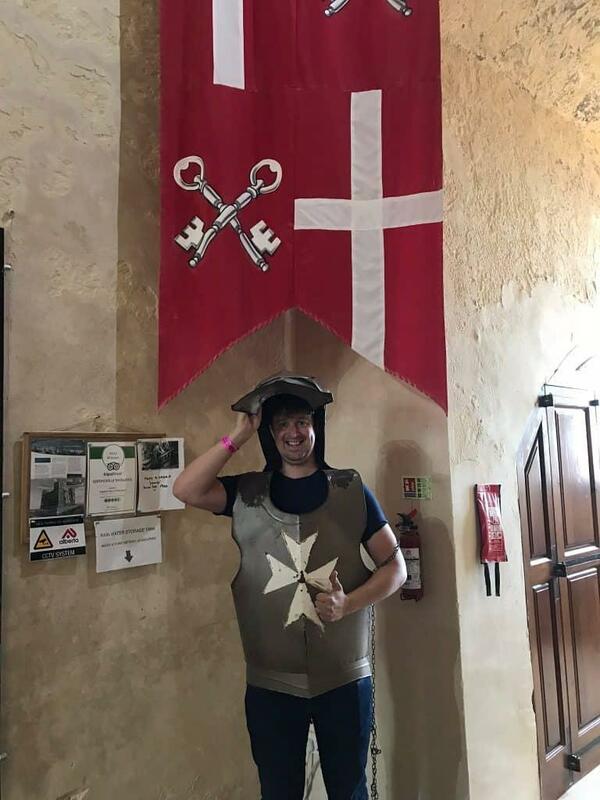 You get to try on a suit of armour! St Agatha’s Tower or ‘the Red Tower’ has a long history. Perched on the top of Marfa Ridge it’s a striking view on the drive through Mellieha up towards the ferry port for Gozo island. It was not on our list of things to do whilst on Malta but once seen it’s hard to resist going up for a closer view. The tower was built in around 1649 in a perfect strategic position. 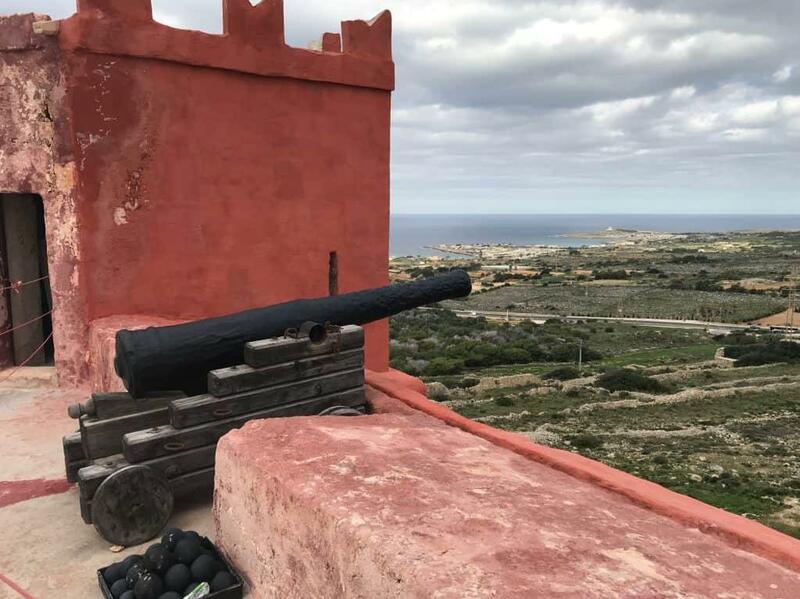 It not only protected the bay of Mellieha but also was able to communicate with other towers on Comino and Gozo and had a view of both sides of the island to spot enemy ships. In the days before WhatsApp (I know, impossible to imagine) this tower was one of a series around the island that would communicate with each other by lighting fires. This would pass messages of incoming invaders quickly around the island (just like the Beacons of Gondor for the geeks among you!). 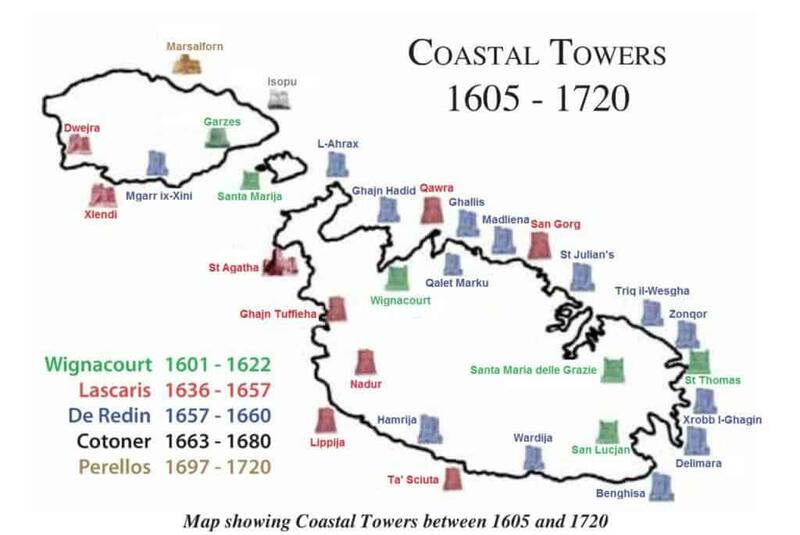 By 1720 there was an incredible 32 towers around the coast of Malta! St Agatha’s Tower has been used as a base for the military throughout the years holding garrisons of men and cannons. It even saw action in the Second World War as a signal station and after that has been used as a radar base. 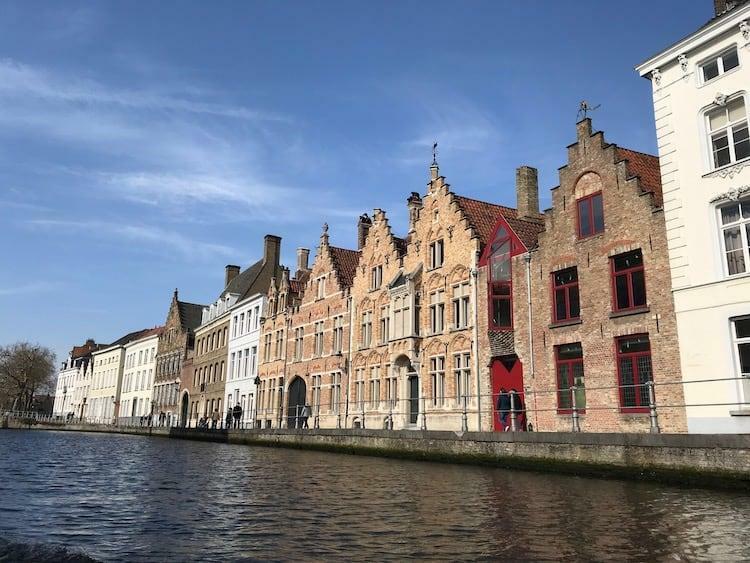 Unfortunately – after the war – the Red Tower fell into disrepair. In 1998 two year’s worth of work was undertaken to restore the tower including exposing the original floor, securing the outer walls and the rebuilding of one of the turrets. If you want to read more about the restoration then there is a fantastic article here. St Agatha’s Tower was an unplanned delight! We were driving round the north of the island and it appeared on the hill in front of us as we rounded a bend. We were drawn in like midges to a BBQ. 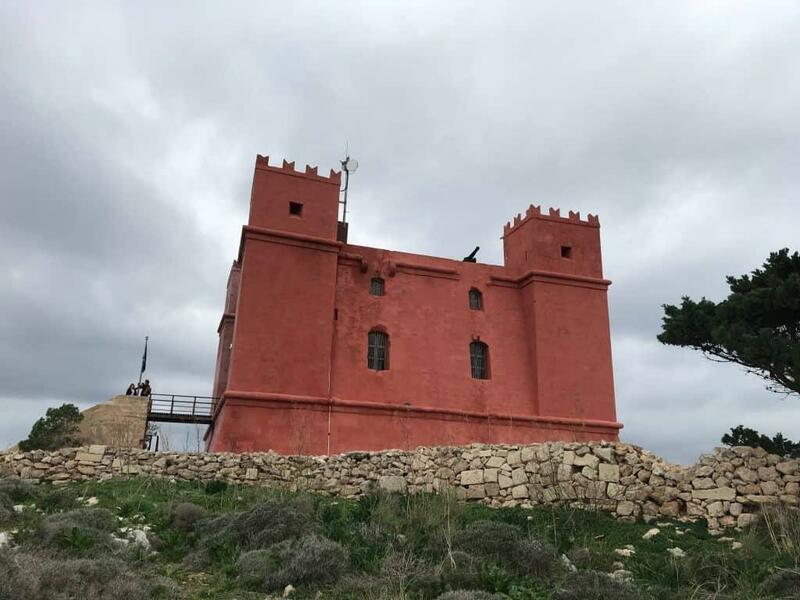 It’s a massive red tower on the top of a ridge – it looks completely out-of-place and is unlike anything we’d ever seen. It would have been hard to resist!? When inside we were greeted by a knowledgeable Scottish chap who talked us through the history of the building. He really knew his stuff and was clearly passionate about the restoration work that had taken place. 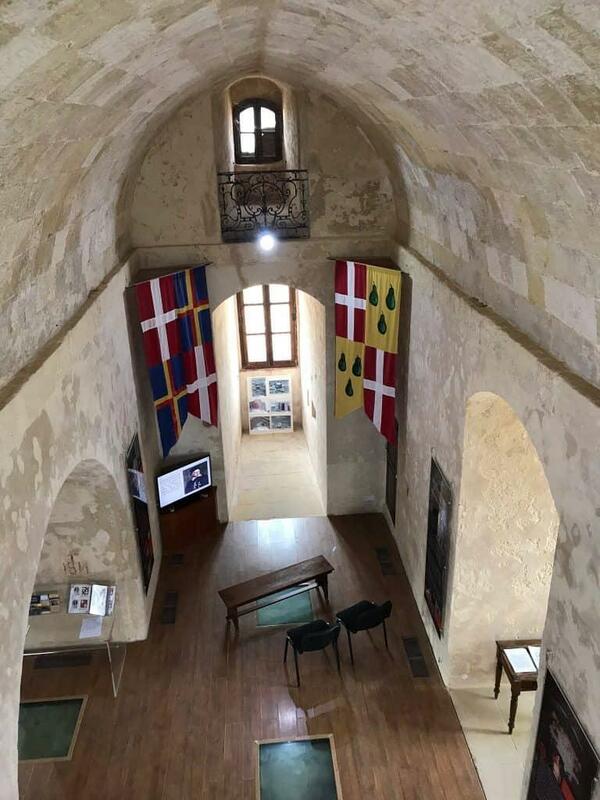 Malta is a crumbly place, partly due to the main building material being limestone and partly due to the frequent wars it’s been caught up in, so it’s reassuring to see Din L’Art Helva (the National Trust of Malta) put time, effort and cash into bringing these places back to life. As much as this chat was interesting I was distracted. Propped up against a wall to the left of the entrance was a suit of armour. And not just any suit of armour, THIS ONE YOU COULD TRY ON! I tried to play it casual, wandering slowly over with Becca but she knows me too well. Having upped my speed to make sure I got there before the teenagers behind us who had clearly noticed the same thing (you snooze you lose) I quickly put on the breastplate and helmet. It was uncomfortable as hell, with the rusty hinges doing their best to drop the face mask onto my nose at every opportunity and the tops of the breastplate digging into my shoulders. But hey, sometimes you’ve got to pay a price to look cool! 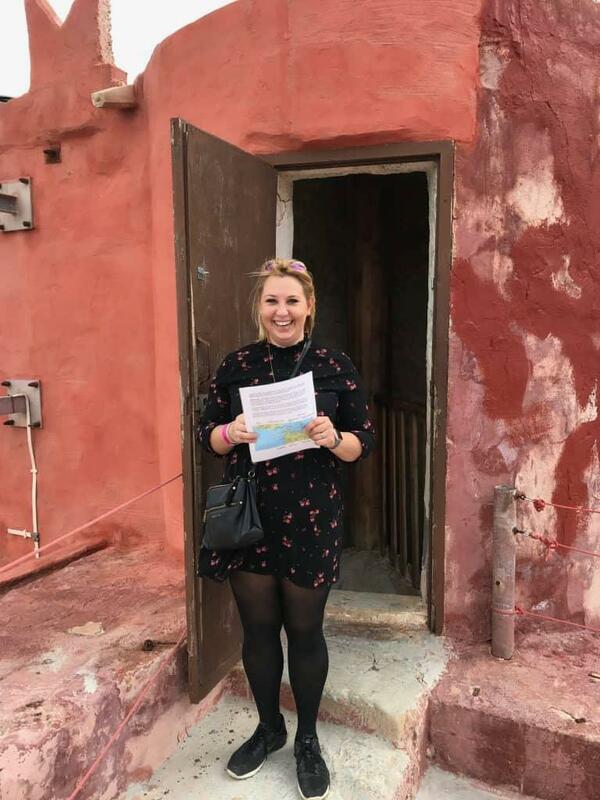 Another first ticked off my list and added to my Maltese traveller’s virginities! You’d think that having tried on a suit of armour my day had peaked, but no, there was more to come!! We puffed our way up a steep spiral suitcase out on to the roof of the Red Tower. Wowzer! The views were simply incredible! 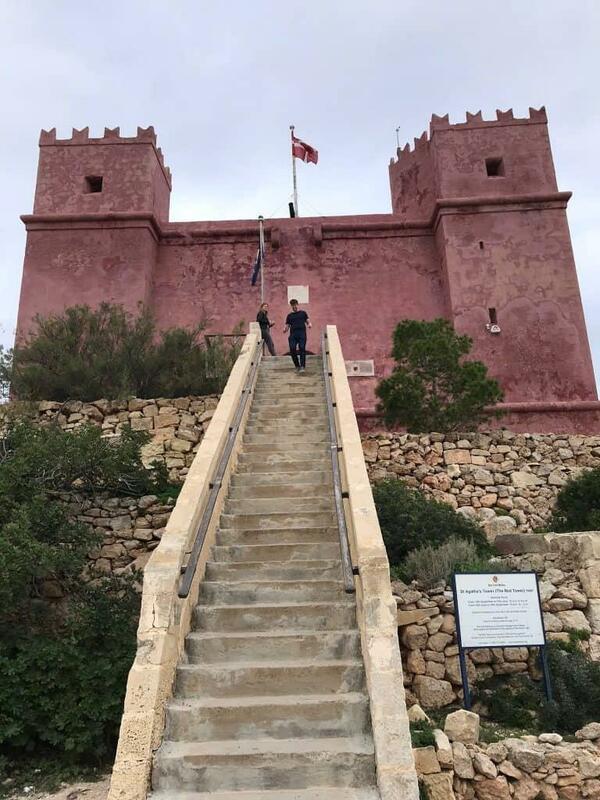 A tower like this was built for strategic purposes – it has views right out over the bay of Melleiha in the east, the sea in the west and the island of Gozo in the north. Back south it looked out over the rock outcrops and lakes of the Ghadira nature reserve. As part of the information pack we had been given at the entrance was a map showing everything that was visible from up here. When communication was tough a tower like this must have been absolutely crucial to the survival of the island allowing early warnings to be sent quickly and the troops to be readied. It’s not until you look at the distances on the map that you realise how far you can see from a vantage point like this! Checking the sights from the top of the tower…. Heading back inside there are lots of useful and interesting displays on the history of the Red Tower and the restoration work that took place. From these old pictures that you realise how bad the tower had got before it was restored and re-painted in its original colours. Whilst the inside has clearly been modernised they have done their best to keep the original features visible. The best example of this is the wooden floor through which they have put square glass viewing holes making the original flagstone floor visible. If you’re in the north of Malta I would thoroughly recommend a visit to St Agatha’s Tower. It is great value for money with fantastic views and a great insight into the history of Malta. Oh, and if none of that interest you then there’s a suit of armour! 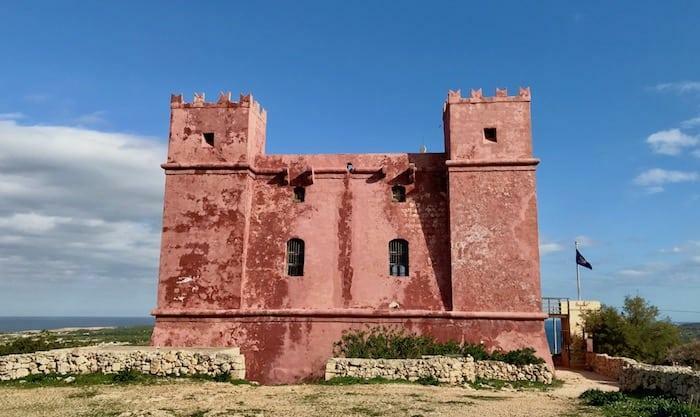 History of the Coastal Towers – I was amazed at how many of these little towers are dotted around the coastline of Malta. If you’re interested in finding out more then this website will help. 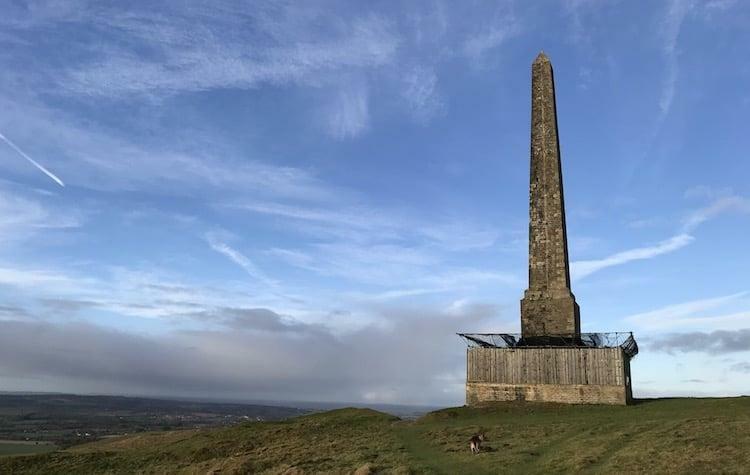 Red Tower Drone Flight – Get a different view of St Agatha’s Tower with Steven Borg. This video shows the layout of the star-shaped outer walls and the incredible views in a way that’s not possible with your feet on the earth. Well worth a watch (flick through to 1:42 if you’re looking for the section on the Red Tower rather than Ghadira Nature Reserve). Previous Post If you only Experience 5 Things on Praslin Island - Pick These!